The attack happened when a cruise ship landed on the northernmost island in the Svalbard archipelago, a region between mainland Norway and the North Pole. A polar bear that attacked and injured a guard leading tourists off a cruise ship on an Arctic archipelago has been shot dead, according to Norwegian authorities and the cruise company. The Joint Rescue Coordination for Northern Norway on Sunday tweeted that the attack happened when the tourists from the MS Bremen landed on the northernmost island of the Svalbard archipelago, a region between mainland Norway and the North Pole that is known for its remote terrain, glaciers, reindeer and polar bears. 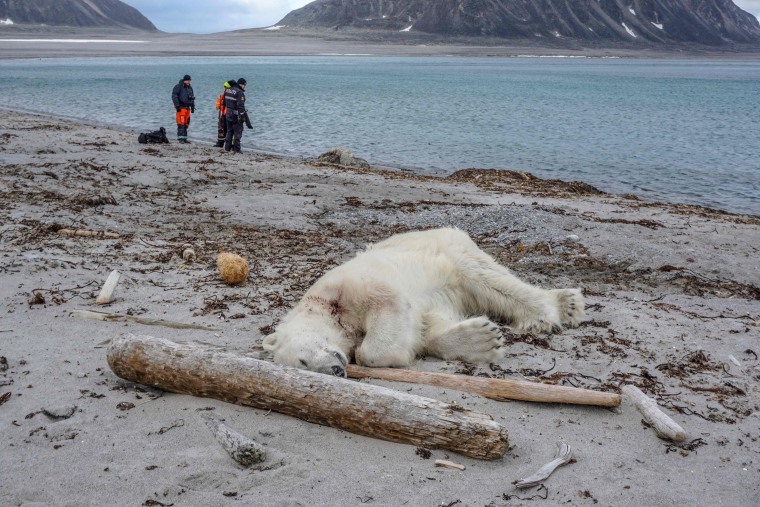 The German Hapag Lloyd Cruises company, which operates the MS Bremen, told The Associated Press that two polar bear guards from their ship went on the island on Saturday and one of them "was attacked by a polar bear and injured on his head." She said all cruise ships traveling in the northern region are obliged to have polar bear guards on board. Critics lashed out at the tourists for travelling to a region with polar bears and then kill the animals when they become dangerous. "They had no right to get themselves into a situation where they needed to defend themselves," said one Twitter user. "The Arctic is NOT a Zoo," posted another.